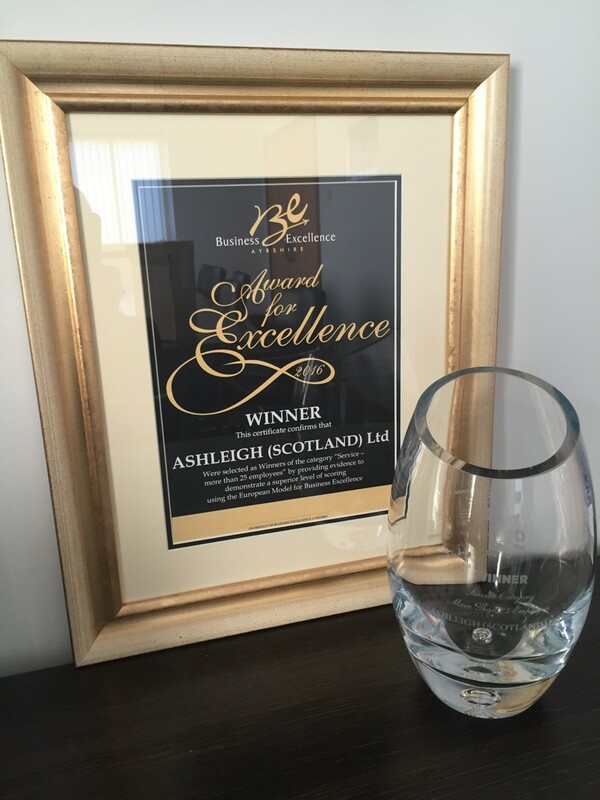 Ashleigh were delighted to receive the Award for Excellence at the prestigious awards ceremony on Friday night. We were selected as Winner in the category ‘Service – more than 25 employees’. This accolade is further acknowledgement of the quality, effort and commitment of all our staff and employees.